I recently took an online home safety audit. It tests you on how safe your home is from hazards including fires. Of course fires can start many different ways that we cannot control but there are a lot of things that can be done to prevent them. Well….we failed the test. So guess what we are doing this weekend? Fireproofing! We are going to be getting new fire extinguishers, new batteries for all of the smoke detectors, redoing locks, checking for overloaded electric outlets, and making and practicing an escape plan. We also need to get numbers for our mailbox so the fire department can find us…although the pizza man doesn’t seem to have a problem. 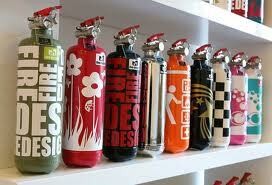 To take the home safety audit yourself click here. Speaking of fireproofing, many of you have probably heard about or have seen the movie, Fireproof, about one man’s story to save his marriage. It is a powerful story worth seeing (although you might have to overlook some of the acting). In the movie the lead character, Kirk Cameron, realizes that his marriage is on the brink of divorce. 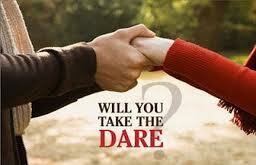 He is challenged by his father to take part in a 40 day Love Dare Challenge. Reluctantly he agrees, and the movie tells his story. Side note: My favorite prime time show growing up…Growing Pains!! And I may have had some several posters of Kirk in my bedroom. Anyways, I found the 40 Love Dare Challenges online so I thought I would share. This can be done by the husband for the wife, as in the movie, or by the wife towards the husband. Either way it is sure to help your marriage grow, maybe even in areas you didn’t realize needed strengthening. What need does your spouse have that you could meet today? Example: Choose a gesture that says “I love you” and do it with a smile. Pray for three specific areas where you desire for God to work in your spouse’s life and in your marriage. Determine to guard your mate’s secrets and pray for them. If there is anything you haven’t forgiven in your spouse, forgive it today. Ask for God’s forgiveness for your areas of wrongdoing, then humble yourself enough to admit them to your spouse. Think of one area where your spouse has told you you’re expecting too much, and tell them you’re sorry for being so hard on them about it. Purpose to do what you can to meet the greatest need in your spouse’s life right now. Previous postFires, Prevention and Harrison Ford! ?